The key to finding some foods is to think about how you are using them. Are you making a dish from Mexico? Norway? Thailand? Not all the ingredients you may need are readily available in your local grocery store. But chances are, if you make the connection, you will find what you are looking for in Charlotte. Recently, I have received several e-mails from readers looking for specific chilies. Not all the mainstream grocery stores carry a variety of peppers, though Anaheim, cayenne, jalapeño, Serrano, and poblano are readily available. For extremely hot chilies, such as Scotch bonnets and habaneros, a trip to an ethnic market may be required. Scotch bonnets (named for their resemblance to a Scottish Tam o' Shanter) are native to the Caribbean and are a necessary ingredient of Jamaican jerks. Habaneros are a primary component of Mexico's Yucatan dishes. Both of these peppers have a thin flesh and similar heat levels. 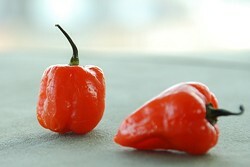 Frequently, habaneros are substituted for the harder-to-find Scotch Bonnet. Harris Teeter carries habaneros throughout the year. Compare Foods sell habaneros by the pound or by the box. The Super G Mart (7323 E. Independence Blvd., 980-321-4048) usually carries habaneros, but do run out. The best days to shop for habaneros are Friday and Saturday. On the other hand, Scotch Bonnets, which are more readily available in summer, are difficult to come by. 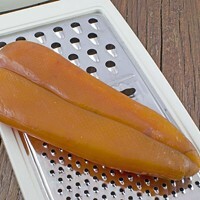 Occasionally you can find them at Island Grocery (5861 Albemarle Road, 704-532-0322), but call to confirm.